Today, home network security has become a very important part in every smart-home. As the usage of the Internet of Things, also known as IoT devices, increases, IoT smart devices become an alluring target for hackers and cyber attackers. For instance, do you remember botnets such as Mirai or IoT Reaper? These botnets exploited unpatched vulnerabilities and turn computers and smart devices as a part of botnets that benefits attackers behind them. What is important that predictions for 2018 indicate that rise of IoT adoption will increase security attacks . As a result, it is extremely important to take care of your smart home and protect your smart devices. It is worth mentioning that IoT devices’ protection and security is as important as your PC, Mac mobile device. In order to ensure your security, check out the new Bitdefender BOX 2. A security provider Bitdefender launched Bitdefender BOX 2 – a single security solution for smart home devices. 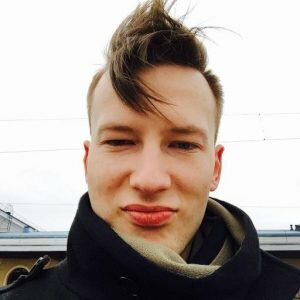 What is the Bitdefender BOX 2? Bitdefender BOX 2 provides security for all smart devices at home or on the go. All the devices in the network can be managed from a single mobile app. Bitdefender BOX combines parental control that can monitor children’s online activities and manage their Internet time. In addition, the security solution is 100% compatible with Home Network and also increases internet speed. What is more, Bitdefender BOX 2 also includes a 1-year subscription to Bitdefender Total Security 2018 – the most advanced and powerful security package by Bitdefender for all your devices. What does Bitdefender BOX 2 offer? According to Bitdefender, Bitdefender BOX is the Smart Home Cybersecurity Hub and secures an unlimited number of IoT smart devices. Bitdefender BOX ensures the protection against malware, stolen passwords, spying, identity theft and more. In addition, Bitdefender BOX protects your devices not only at home but also on the go, when you are connected to a public Wi-Fi or using your mobile network. The security tool is controlled on the computer dashboard or simple and easy to use mobile application. How does Bitdefender BOX 2 work? Bitdefender provides you and your family complete security for all your smart home devices and protects you against any type of cyber threats. Safe Browsing. Bitdefender BOX 2 blocks and warns users about all suspicious and malicious URLs, in order to protect from phishing and online fraud. Vulnerability Assessment. Bitdefender BIX 2 constantly performs scans, detects and notifies users about network security vulnerabilities and flaws. Exploit Prevention. The security solution detects and removes attempts to exploit bugs in the network and all secured devices. Advanced Parental Controls. Bitdefender BOX 2 provides parents efficient, reliable tools to monitor and control daily time online, manage and set up filters by age categories and even temporarily stop the Internet. In addition, soon Bitdefender BOX will offer detection of cyberbullying and online predators. If a new device connects to your network, the security tool identifies it and sends a notification to the Bitdefender Central app on your mobile device. Device Management. 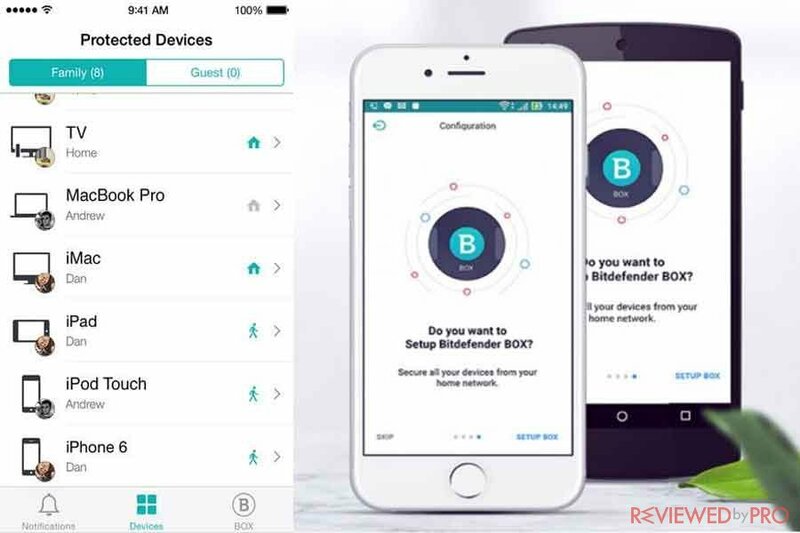 Bitdefender BOX 2 allows you, using Bitdefender Central mobile application, to monitor and control your Wi-Fi network. If any unrecognized or unknown device will connect to your network, Bitdefender will notify you and you will be able to control what this new device is able to do. Local Device Security. Bitdefender BOX 2 combines an award-winning Bitdefender Total Security 2018 subscription. Bitdefender Total Security 2018 protects all your devices including laptops, desktops, tablets, and smartphones that run the most popular operating systems including, Windows, macOS, iOS, and Android. Anomaly Detection. 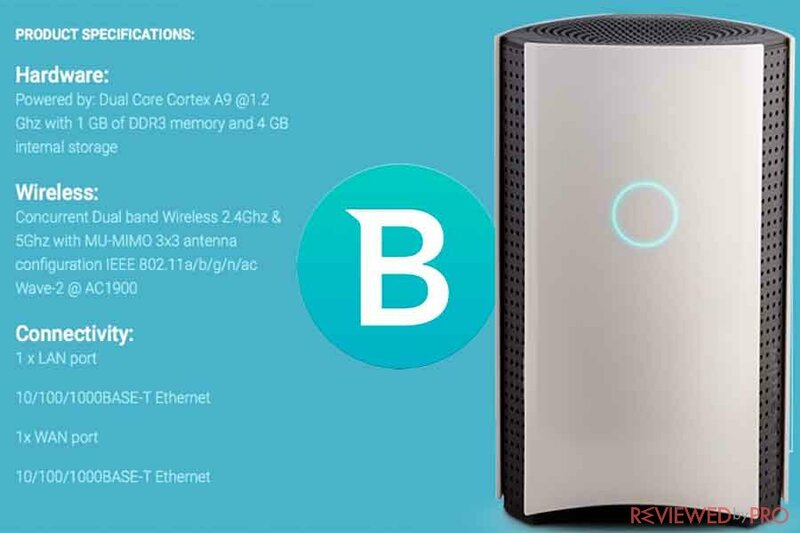 Bitdefender BOX 2 is able to understand smart devices’ activities under normal circumstances. The security suite will detect, block and notify you about any suspicious activity in your devices or network. Brute-Force Protection. The advanced brute force protection provided in Bitdefender BOX 2 will ensure your safety and prevent attackers from taking control over your devices. Sensitive Data Protection. Bitdefender BOX 2 will ensure the safety of your sensitive and personal information and will prevent sensitive data from being sent without encryption. In addition, sensitive data protection feature will detect if credit card credentials, authentication or location data is sent over a non-encrypted connection and will stop the attempt. 24/7 Free Setup and Tech Support. Bitdefender offers you available 24/7 help and support from its technician team. Bitdefender is an outstanding product this year, with joint highest scores overall – AV Comparatives. What will you get with Bitdefender BOX 2 subscription? Bitdefender BOX 2 that includes hardware and wireless suite. Android devices that run Android 4.4 or higher. Bitdefender is a Romanian-based cybersecurity software company founded in 2001. Since then it aims to deliver robust security consumers can rely on and today the company protects about half a billion users. Bitdefender offers security for both individual users and businesses. The company works with governmental organizations, enterprises, small and medium businesses in over 150 countries around the world. Today, the security provider has about 1300 employees and over 600 of them are professional engineers and researchers. The company is never standing still and Bitdefender is known as one of the most innovated and modern companies in the cybersecurity industry. What led us to Bitdefender was the ease in which we could deploy. Not only did we stop having to reboot virtual machines, more importantly, we did not have to reboot hosts. This allowed us to deploy the solution without disrupting our customers’ work environment. ^ Lucia Danes . IoT Reaper in comparison with Mirai . Reviewed by Pro. ^ Linas Kiguolis . 2018 Prediction: Increase of cybersecurity attacks . Reviewed by Pro. ^ The New Bitdefender BOX . Bitdefender. This entry was posted on 2018-01-03 at 07:55 and is filed under News.